Nicholas Benton | “Smash the Church, Smash the State: The Early Years of Gay Liberation, by City Lights Books of San Francisco. “Smash the Church, Smash the State: The Early Years of Gay Liberation, by City Lights Books of San Francisco. My personal gay revolution began in Berkeley, Calif., in the tumultuous year leading up to the Stonewall Riots. Yes, coming out was the best thing I ever did. It’s when I began to dance. Until I moved from a small California coastal town to Berkeley to enter post-graduate seminary in 1966, I was convinced my primary struggle through life was to carry the secret of my gay orientation to the grave. But the civil rights and anti-war ferment I found in Berkeley changed all that. It motivated me to do the last thing I had expected to do, not only to come out, but to become a candidate as the first-ever openly gay person seeking ordination in a major Protestant denomination, to co-found the Berkeley Gay Liberation Front, to become the first openly-gay speaker officially included at an anti-war rally in San Francisco, and to become a prolific writer on universal gay liberation themes for numerous alternative weeklies in the Bay Area. Little did I anticipate the social ferment that escalated in Berkeley shortly after I arrived there. The civil rights and anti-Vietnam War movements began spilling over into the streets. Marches and demonstrations more than once turned violent. From the Pacific School of Religion’s location on a hill above the University of California, we watched from our classrooms as helicopters dropped tear gas on demonstrators. Often I was a demonstrator on the Telegraph Avenue myself. Daily, I drove daily from my Oakland home to my classes past long rows of National Guard troops lining the streets. My seminary colleagues and I, as with growing legions of the general public, were deeply moved and inspired by the influence of Dr. Martin Luther King. As seminarians, we were particularly struck by his role as a religious leader, inspiring and motivating a huge mass movement for civil rights. Dr. King’s assassination in April 1968 had a profound effect on us all, including definitely on me. That summer of 1968, I attended the summer session at the seminary attached to Northwestern University, just north of Chicago, where the Democratic National Convention in August drew thousands of angry anti-war demonstrators, frustrated by the King and Kennedy assassinations and the war, and where an ugly police riot ensued that the entire nation watched. In response to all this, I didn’t necessarily think to myself, “I have got to come out,” as my personal contribution to the spirit of the anti-war, pro-civil rights ferment. But when I returned for my third year in seminary that fall, I responded to a flier posted on a bulletin board offering seminarians a few days of exposure to some discussions by gay leaders and to the gay scene in San Francisco, just over the Bay Bridge, sponsored by the Council for Church and the Homosexual. I signed up, braced for questions from faculty and fellow students about why. I can’t imagine anyone suspected I was gay, because I had the misfortune, I think, of being able to hide behind a pretty straight image, having gone through undergraduate college on an athletic scholarship and even getting married, though soon separating. At the seminar, I pulled off my “curious seminarian” routine pretty well, I thought, concerned for the usual Biblical prohibitions and so forth. But I think the gaydar of some experienced gay leaders knew better. I met the legendary Del Martin and Phyllis Lyons, and other San Francisco gay leaders I would consort with for years after that once I came out. Sadly, that seminar marked the first time I ever knowingly encountered another gay person. The biggest single impact it had on me was not only to see them as real, intelligent people, but many were darned cute. More than anything, I confess, that sealed my determination to come out, though cautiously over the next months. Filled with paranoia and dread, I staked out some gay bars in San Francisco’s Tenderloin District before screwing up the courage to slip inside for the very first time in March 1969. It might have been months sooner, but I had to help my brother as he mustered out of the Navy after his second tour of duty in Vietnam, and then I injured my knee playing basketball. Once I finally entered the gay world, however, I was traveling over to The City almost every night. Yes, indeed, I began to dance, to dance a lot. Across the continent, in New York City, the Stonewall Riots began on June 28, 1969, marking the recognized launch of the gay rights movement. Over the next year, while in a year of post-graduate study at the seminary, I began coming out to a wider and wider circle of friends and classmates, and gay activists in Berkeley and San Francisco. My thoughts progressed toward melding the notion of gay liberation, my own liberation included, with the “bigger picture,” including as informed by my theological education. That fall, a surprise financial gift from an aunt enabled me to rent an apartment directly across Berkeley’s Telegraph Avenue from the White Horse Inn, which was the only gay bar in Berkeley, and very low key. A picket line had been thrown up in front of the bar by some gay radical brothers and sisters, protesting the fact that long-haired, hippy-type gays were not welcome in the bar, and that touching was, naturally in that day, also prohibited. With help from friends, I had the idea to turn my $130-a-month apartment into what I called “The People’s Alternative,” and it became just that. Demonstrators in the picket line across the street were invited in. There was virtually no furniture but lots of cheap wine and a boom box. For something over two months in the fall of 1970, my “People’s Alternative” became a magnet for crazy and fun gay organizing and assembling activities of all types. Often it was filled far beyond capacity, including one night when everyone who’d attended the first-ever officially sanctioned gay dance at the university, a half-mile away, poured in after the dance ended. Gay religious services were held there, I was ordained into an obscure sect there, famous older gay icons held forth there, but mostly people came for a good time. It was no Studio 54, but pretty damn lively. In mid-November, the landlord found out about all this, and I was swiftly and unceremoniously evicted. In October, I was invited to be the first-ever gay spokesman officially invited to speak to an anti-war march and rally in San Francisco’s Golden Gate Park. One of my fellow seminarians, Bill Johnson, chose the occasion to stand up and “come out” in the middle of the meeting, which was met with wild applause and numerous group hugs. Sadly, I looked out and saw another seminarian, with whom I’d had a brief relationship months earlier, chose to remain in his closet, and perhaps has to this day. But it wasn’t long before I broke off a fledgling process of seeking ordination in the United Church of Christ (U.C.C. ), insisting at the time that the liberal Protestant denomination was too “pro-establishment.” I blew up one Sunday at a church in San Francisco following a sermon by its pastor, an older man who’d confessed to me that he was gay, intended to be compassionate, but with the title, “People Unlike Ourselves.” During the coffee hour discussion afterward, I went to the microphone and angrily denounced the apologetic tone of the sermon. While not “outing” the minister, I declared my resignation from the church, and termination of my ordination process. The United Church of Christ went on later, in 1972, to ordain my seminary classmate, Bill Johnson, making him the first openly-gay person to be ordained by a mainstream Protestant denomination. (I’ve long since re-joined the U.C.C., whose history dates to the Mayflower, the Abolitionist movement, the Underground Railroad and the founding of scores of institutions of higher education for freed slaves after the Civil War. In 2005 its ruling national body became the first representing a major Protestant denomination to vote to fully support gay marriage). In addition to writing for the Barb, I continued to write for the Gay Sunshine until a power-play wrested it from the control of the collective that originally created it, and was also published in the Berkeley Tribe and two or three San Francisco bar publications. I self-published some essays, one entitled “God and My Gay Soul” and another called “Racism, Sexism and White Faggots in Sodomist Amerika.” Some of my writings were cited in books, including Don Teal’s “The Gay Militants” (New York: Stein and Day, 1971), that included my quotes from Gay Sunshine cited above. My barely-adequate income derived from writing and doing page layout for the Barb came under fire at one point from some of my gay radical counterparts, however, who showed up one day to challenge me to leave. Basically, in my view, they didn’t like that I had a job and many of them didn’t. Among some, true radicalism involved making the state pay for your livelihood by qualifying for welfare. I convinced my boss, Barb founder and owner Max Scherr, that I had no intention of bending to their pressure. In November 1970, I joined an entourage of fellow Berkeley gay radicals in a drive across the U.S. to attend the “Revolutionary People’s Constitutional Convention” hosted by the Black Panther Party in Washington, D.C. There was a few very lively and contentious gay sessions held in a circular chapel at American University before the whole thing kind of fell apart because Howard University reneged on allowing the use of its campus for the convention. I barely avoided arrest the first night there when a group of Yippies and radical gays decided to confront the management of a bar on Wisconsin Avenue that refused service to a couple transvestites. A riot ensued, the bar was completely trashed, and having been alerted by phone, a carload of us drove to the scene after the fact. Glass was everywhere, lit up by lights blinking from a half-dozen police cars. My boyfriend and I, at the very last second, decided to take a different car back than we’d come in with. It turned out the car we avoided was pulled over and everyone arrested. We went to the arraignment the next day, and some arrested were not allowed to leave Washington, D.C until the trial. That was a close call. That could have been me. Anyway, my boyfriend and I went from there to the Capitol Building, then bought a fifth of vodka as we walked out Massachusetts Avenue toward American University, where we’d been crashing in the oval lecture hall. We got totally wasted, pontificating in front of each of the embassy buildings we passed, before getting back. It was one of the more memorable, and romantic, nights of my life. My boyfriend and I wound up hitchhiking to visit my brother in Boston, then through a combination of hitchhiking in snow storms and long bus rides, back to San Francisco. 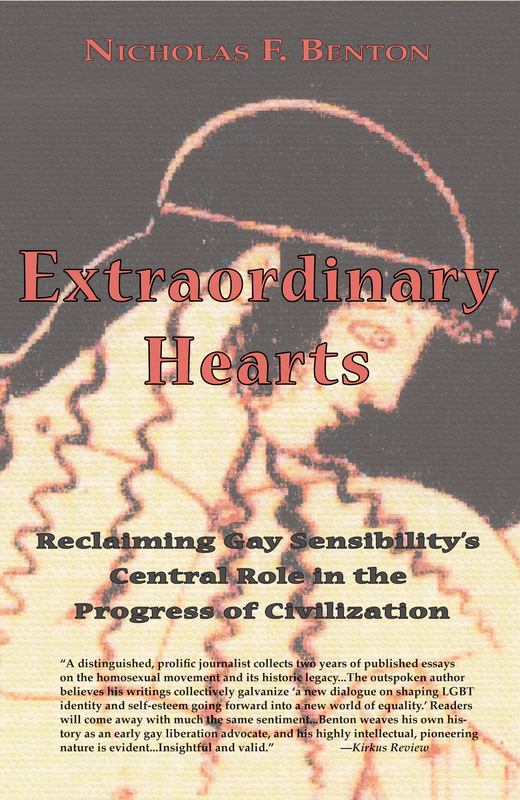 By the summer of 1971, another friend, Jim Rankin, and I further developed the notion of the social paradigm shift that we felt gay liberation represented, as I cited a year earlier in the Gay Sunshine editorial, seeing it as allied with radical feminism in an effort to end war and oppression by transforming male-dominated society. We argued against those who saw gay liberation in only the sexual freedom sense, or even in the fight for legal rights sense, and they included encounters with the likes of San Francisco’s legendary Harvey Milk and Berkeley’s gay poet in residence, Allen Ginsberg. Many of my articles in the Berkeley Barb were embedded with my notion that, fully actualized, gay liberation represented the challenge to be socially-transformative, with male supremacy to blame for the evils of society. My friend and I decided to launch our own newspaper to further advance this perspective, which we called “The Effeminist.” We designed it, wrote it, had it printed, and distributed it, including hawking it on street corners on Telegraph Avenue and off Union Square in San Francisco. We wound up producing two slender editions, and I’ve never seen one since those days. With copies of “The Effeminist” and especially-prepared statements on fliers signed “The Effeminist,” a small circle of us leafleted a number of San Francisco gay community meetings where Milk began launching his career to become an openly-gay member of the San Francisco Board of Supervisors. Recently transplanted from New York, he was a newcomer compared to the likes of San Francisco’s well-known gay community leaders to that point. But he was articulate, energetic and was clearly driven. We who were “The Effeminist” challenged his “equal rights only” focus with our cultural paradigm-shift themes. He wouldn’t take up our challenges, however, but repeatedly affirmed our right to our views while steadfastly maintaining his focus. In the case of Ginsberg, “The Effeminist” took him on, as I reported in an article in the Barb (“Effeministrike,” June 2, 1971, p. 2), by leafleting at one of his readings in Berkeley. It quoted an article by Ginsberg in the Barb a week earlier where he confessed to masturbatory fantasies involving young boys, and called it “sexism, homosexual oppression that makes it impossible for us to be gay.” He became my polemical punching bag on more than a few occasions. But in the fall of 1972, I said good-bye to that intense phase of my life at a three-day gay issues confab, the Southwest Regional Conference on Gay Organizations, in Sacramento. I had a major role in a number of seminars where I tried to get across my way of looking at things. Ten days later, George McGovern was defeated in the landslide re-election of Richard Nixon. Burned out, frankly, I quit my job at the Berkeley Barb in January 1973, and I decided to be more of a political socialist than a gay liberationist. I wrote more-or-less an exit essay for a San Francisco gay publication entitled, “Socialism or Homosexuality,” denouncing what I saw as the prevalent understanding of homosexuality as “predatory” in nature, rather than my notion of gay liberation, which was, put in a political context, actually more of a socialist concept. I opted out at that point. But while the sexual freedom and legal rights aspects of the gay movement unfolded through the 1970s and beyond, I think that something of the notion my friends and I tried to stress also made its way into the popular thinking of American culture, nonetheless. The incredible thing about those days was the sense that one’s ideas and activism were at the cutting edge of a new direction that the overall culture was taking. We felt that sense, and it was unfounded. Notwithstanding I went through some odd twists and turns before founding my own newspaper in 1991, these decades later, I am still here, still grateful for having had a role in the early days of gay liberation, and for the many blessings of being gay and proud. I am still focused on social transformation, and, oh yes, still dancing myself silly.